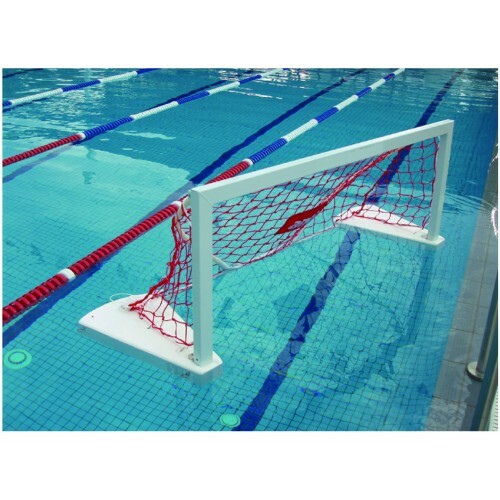 The water polo goal is made from aluminium and fiberglass. The aluminium parts are powder coated. The net is made from PP. To ensure the best floatation and position in the water, the floatation elements have closed cells.. The transport is made easy by the extra handle.